Some of the items listed here is more or less required to be able to get anything done. Many of the items I will mention is there to make your life simpler, and save you time and effort and just generally hassles. You can get along without them, but it might just be worth your while to get them and stop screaming at the roll of duct tape. Also, please note that there are options and options and more options on everything I mention here. This is not supposed to be all encompassing history of studio photography. You basically have three options here. No matter which of these you choose, you will have benefits and shortcomings, and still need some form of light diffusion and shaping that needs to be done for most of your studio needs. Why would you want studio lights? They tend to recycle faster than strobist kit (so the time between shots is less), they can be much more powerful than strobist kit, they can work much harder per session than a strobist kit. The idea is to remotely trigger your flash units just like you would ordinary flash and model your lights the same way, but you are extremely mobile. The units generally run of AA batteries or smaller battery packs, the can be mounted on just about everything, and can be hidden away in obscure places for dramatic lighting effects. 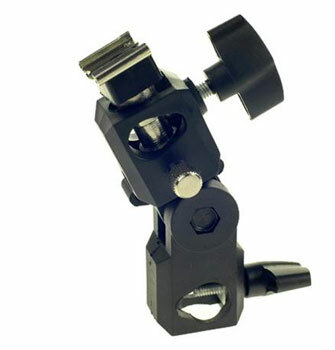 Generally you will also need to buy some light stand or clamps to mount your flash units on. I tend to carry some superclamps with me as well as two or three smaller light stands with adjustable heads that can take an umbrella as well as a flash unit and trigger. I also have small 40cm and 60cm softbox units that can fit on the light stands or superclamps should I need more directed light. Also used to be called “tungsten” or “hot lights”, these are the various forms of constant lighting. You can buy various types of constant light, from Eco friendly bulbs to tungsten and high power halogen lights (often, basic construction floodlights are used as a cheap alternative) with the latest and greatest being LED light panels. 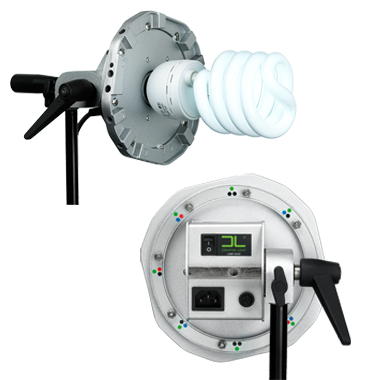 The Eco friendly lights is the “best of both worlds” solution as they tend to run fairly cool, so they don’t have a problem living inside a soft box. 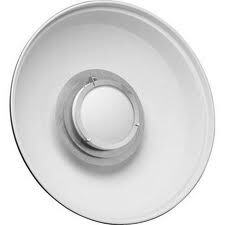 LED light panels are obscenely expensive, and halogen and tungsten lights are tremendously hot. None of the current constant light sources can give close to the amount of power of a standard studio head or strobist flash, but their main advantage is that you can see and model light exactly. It’s the ultimate wysiwyg setup. What You See Is What You Get! So, is any type better than another? Nope… They are all ideal! But if you need to push out a lot of light to get decent Depth of Field for a beauty shot of a face (say, f/11), then a bog standard set of 500watt flash units will be ideal, and much easier to set up with large diffusion panels or light modifiers. So, is there any room for constant light? Again, absolutely! Shoot food, or pack shots (still life) where the exact design of the light is critical, then it generally makes sense to shape and model a light as you see it. Even with something like bodyscapes it’s a very nice setup to use. I personally use all three types of lighting on a very regular basis and mix and match different lighting types as I need them. As you can see, what you start off with is going to be your first decision, but it might become more clear as you go through this article. The bugger is the actual cable. 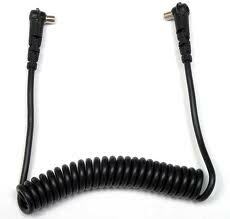 You are always attached to something and there are more chances for an accident or to trip over a cable. If you decide to go wireless, then there are various options ranging in just as many price ranges. The first and easiest is simply to use a flash unit on your camera to trigger the studio flash units (most have this built in so that you trigger one light, even if using a cable, and that light’s ‘flash’ triggers the second light. This slight delay is so fast that it won’t register on your photographs at all!) your flash can trigger the other flash units. Some strobist kit can also do this. Or be enabled to this by attaching a small photocell to the unit. 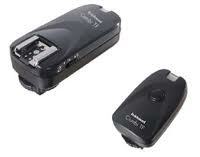 The most convenient way is by wireless remote triggers. These also come in various price ranges and with different abilities, with the industry standard being PocketWizard remote triggers. 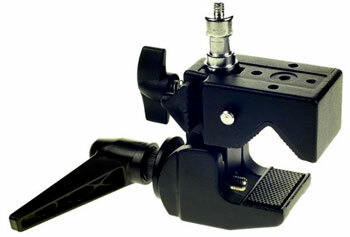 PocketWizard triggers can be adjusted and used in conjunction with lots of units and can trigger lights, cameras or both. Other triggers, like the Hahnel units can do the same, but with slower response times, and can only take a limited amount of triggers… Your future needs and current budget will be the deciding factor. One note I need to make here on cheaper remote triggers. Because of the wireless signal delay from your camera, you might find that a cheaper remote trigger might reduce your flash sync speed by as much as half the actual camera capability. They also tend to be more prone to interference. Right, so we have lights, and we can trigger them (if we need to) now we need to start shaping the lights. These generally come either as translucent or reflective umbrellas. 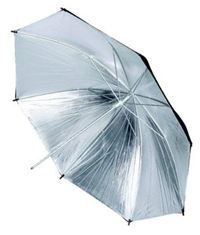 Translucent umbrellas are also known as “shoot through” umbrellas and as the name suggests, you shoot the flash through the diffusion material of the umbrella. 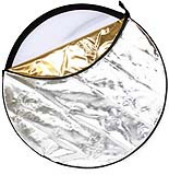 Then you get reflective umbrellas, and they are generally white, silver or gold. So which is which and why the differences? Umbrellas are good for lighting in a circular shape, evenly away from the umbrella surface, which means they are great for spreading light and just throwing a bit more light on the environment you are shooting in. 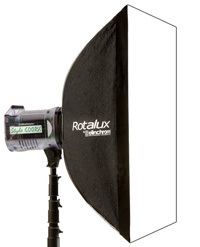 A soft box is a much more directional light shaper, and because the back is generally covered in black, as long as your camera doesn’t see the front panel the chances of picking up flare is much reduced. 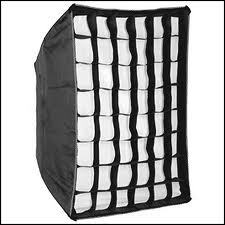 Soft boxes are great for controlling light spill to the sides of a subject, and also for creating a soft even light. Because the also come in various shapes and sizes, (striplights, giant softboxes, mini softboxes, octoboxes, etc) they are great for creating very defined effects. 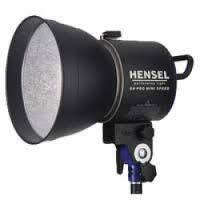 These tend to fit on the front of a softbox and basically directs and polarize the light into a narrower beam. Because e light cannot spill away to a side, it’s a very directional light, from an already directional light source. The mythical beauty dish is great, but a bit of a bugger to move around, and not always a requirement if you want to shoot beauty work. Essentially it sits just in-between umbrellas and softboxes for the lighting effect. The must have of any studio. Silver and gold reflectors helps to bring in just a little bit more light on a subject and can subtly enhance highlights and colour of the subject without the need for extra lights. I find that many times I will rather use a reflector than an extra light to ad a little bit extra to an image. Also, reflectors are handy to wave around to get some wind on your model, or to place as flags (a flag is anything the can block off light from a certain area) reflectors, clamps and gaffer tape is the Swiss army knife of studio lighting. I wish I could say “all sizes” but that is not true. You will end up with a few sizes most probably as your needs increase, but you will also start to creatively use what you have to get a specific effect. But as a start, let’s get down to why there are different sizes of everything. Basically it comes down to how soft you want your shadows to be. It’s quite simple… If the light is small in relation to the subject you are shooting, then light cannot shine past it, and you have a hard and harsh shadow area. If the light source is big in relation to the subject, then light can shine ‘behind’ the edge of the subject in varying degrees and that makes the shadow ‘soft’ or diffused. It’s important to note that the material in front of the light has very little to do with how soft the light is at the end of the day. So if you want harder and stronger shadows, then smaller light modifiers, if you want softer, more even light, then get larger modifiers. 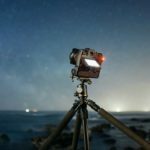 You can cheat a bit with the power and distance of your flash units away from the subject, but that is a whole different issue, and not a big part of today’s discussion. Now depending on what and how you will be shooting, you might want to invest in a light meter. It’s not critical as most of the lighting information you need can be garnered from the camera’s histogram. That said, my lightmeter comes out at almost every shoot to double check what I am reading from the histogram, and definitely when I start to build up larger or very creative lighting setups. Another tool I never leave home without is my colourchecker passport. This is essentially a GretagMacbeth colour chart which I use as colour reference and greycard for both exposure as well as for removing colour casts in my RAW converter during post processing of the images. Apart from that, make sure you have some clamps, some duct or gaffer tape, a few extra leads (and/or batteries if you are shooting strobist) and maybe a beanbag or sandbag or two just to keep everything steady. Depending on your space and the type of shooting you want to do, you might considder getting some backdrops, but this is not essential. 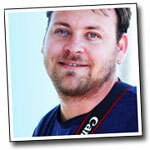 You can shoot against a paper backdrop, or a reflector, a wall… up to you! 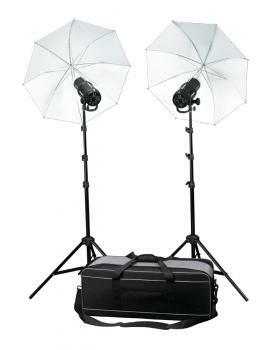 Depending on the conditions, I will also rent more lights and modifiers as I need them. I don’t see the need to own 6 sets of lights if I will only use them once in two months. Buy what you need frequently and rent the rest! 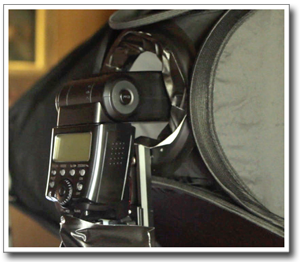 The post Setting up your first Studio appeared first on ODP Magazine.